It also includes the functional fine motor and manipulatory skills required for Grade 1, including cutting, glueing, folding and colouring. learn the correct motor plan for each letter and begin learning letter formation which is now part of the Grade R curriculum. 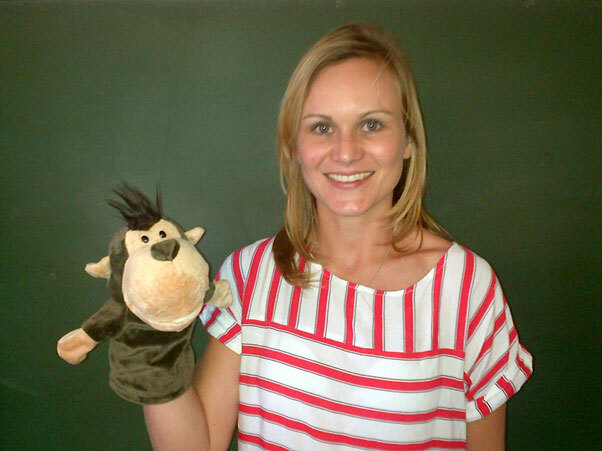 'Muggle' the Muscle Mania monkey brings fun and exciting new fine motor adventures to the classroom each lesson. Muscle Mania focuses on doing specific activities to develop the required movement patterns required for colouring and cutting skills which Grade R's need to develop. The graded activities then move on to pre-handwriting and "writing" skills, with the learning of letter and number formation in the dedicated "Happy Handwriter" letter and number books. The OT presents the lesson; the teacher enhances the teaching aspects, ensuring the children understand the instructions. She, the OT and classroom assistant then help the children to do the activity in such a way that the skills are developed. Two thirty minute Muscle Mania lesson’s a week during the Grade R school day. The programme works because it is regular, repetitive and relevant allowing the consolidation and development of new fine motor skills. The programme has been developed by occupational therapist, Bunty McDougall who has for many years had a special interest in fine motor skills and handwriting. The programme has been trialed and developed over the past 8 years and has run in over 60 different classrooms. It has run in private school settings, ex-model C settings and the previously disadvantaged setting. It is specifically designed for the large group classroom setting. It has run successfully in classrooms of up to 45 children. In the schools where it has run, it now forms an integral part of the school readiness programme. It is built on solid fine motor and orthographic principles. It is carefully graded so fine motor skills are introduced and built upon throughout the duration of the programme to prepare the children for the fine motor and handwriting demands of Grade 1. The children love Muggle the Monkey and love the activities. This ensures engagement and thus improvement. The activities are directly relevant to the goals and appropriate for the large group setting. 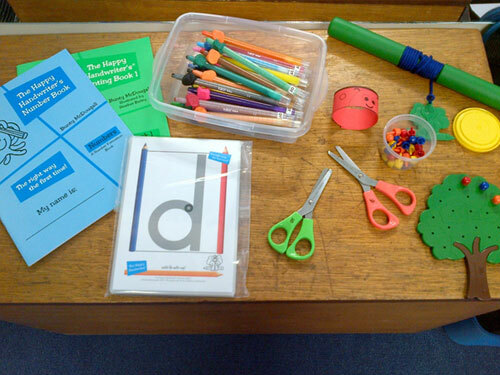 The groups are run by occupational therapists who have a unique understanding of the development of fine motor skills for handwriting. 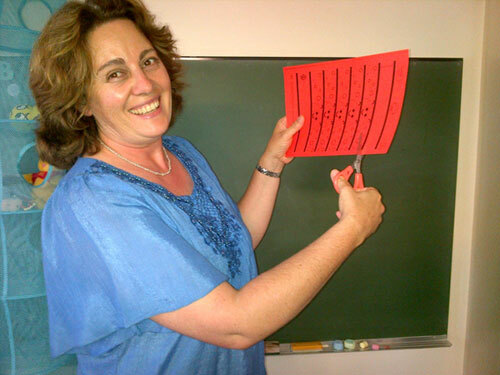 The teacher is an integral part of the lessons ensuring carryover into the everyday classroom setting. Each lesson begins with a brief introductory story to engage the children. Muggle the Monkey is the character who takes the children on adventures and magical journeys which introduce the activity for the day. There is a main activity with clearly identified goals which guides the implementation of the activity. A skill building activity which focuses on specific muscle development is included at the end of the lesson. Manipulatory Skills including: tearing, fringing, scrunching. Some spatial skills including spatial assembly. Muscle Development including: wrist extension, differentiation of the two sides of the hand, development of the foundational muscles for pencil grip. Building in movement patterns for the development of pencil control. Letter and Number formation in accordance with CAPS requirements. What about Children who are in OT? These groups are not designed to, nor are they able to replace individual occupational therapy. who are in individual therapy. If a child is attending the groups and improvement is not evident, it may be an indication that they should be monitored by the teacher for a possible referral to occupational therapy.